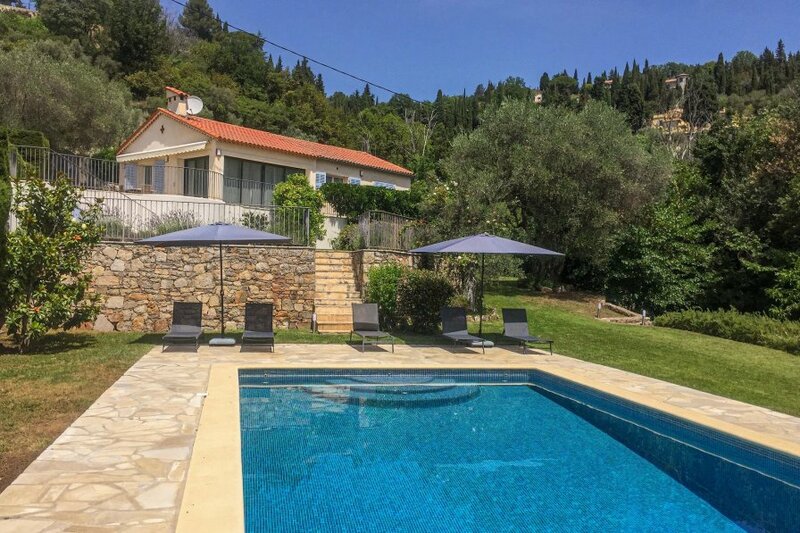 This charming four bedroom villa benefits from an exceptional location, within a five minute walk from the lovely Provencal hilltop village of Callian. It enjoys stunning views across the valley to Montauroux and offers plenty of peace and privacy.The villa is set amongst very well-maintained grounds where you can choose between well-tended lawns, pretty terrace areas and the shade of the trees dotted throughout the garden. It is ideal for families as parts of the garden are fenced, which ensures that it is very safe for younger children. The heated swimming pool also benefits from a security shutter for additional peace of mind, whilst the whirlpool is equipped with a special cover and security alarm for additional safety. The garden is surrounded by lavender and Mediterranean plants, which further enhance the privacy that this lovely villa affords.Inside, the holiday home has been thoughtfully furnished and offers an elegant yet comfortable decor. It includes an open-plan kitchen and living area which opens onto the terrace area. The master bedroom and the children's bedroom are located on the upper floor, with two bedrooms situated on the ground floor. The medieval village of Callian is one of the perched villages nestled between Montauroux and Fayence. Perched at 325m high the charming village benefits from lovely views of the surrounding scenery. It offers an authentic and endearing ambience and a exudes a typically Provencal charm. Be sure to enjoy a leisurely stroll through the village's narrow and winding lanes and look out for the castle - which is one of the oldest in Var! The agent has rated it as a four star property so it is a well-equipped villa with above average furnishings. It is also great value for money. This villa has a swimming pool and is located in Callian. It is set in a good location: there is a restaurant only 500 metres away.